In just a couple of weeks’ time, Chelsea will be celebrating a landmark anniversary, as on 12th April 2007 it will be 25 years since the Blues fielded a black player for the very first time. The events of that sunny, Easter Bank Holiday Monday at Selhurst Park are well documented, but even now, they still seem too incredible to comprehend. Growing up in multi-cultural Shepherds Bush in the 1970s, I’d never really given much thought to the idea of a black Chelsea player being abused by his own supporters. My best friend was black (still is, funnily enough), half my schoolmates were black, the ska music we were all listening to had it’s roots in the Caribbean, as did the flamboyant cricket strokes I would attempt on the school sports pitches. Perhaps I was just naïve, but when it came to Chelsea, I was only ever concerned by the colour of the shirt, not the colour of the skin. As somebody who recalls the fight to get past the sellers of National Front material on the Fulham Road before matches, and the popularity of their paraphernalia amongst the Chelsea supporters, I was certainly aware that the first black player to adorn the famous royal blue shirt would have his work cut out to keep a section of the club’s following happy – I just didn’t realise how big that section was! Clive Walker had already headed what would prove to be the game’s only goal when he made way for Paul Canoville in the final few minutes. Canners had received monstrous abuse as he warmed up along the touchline in a stadium that was, as ever, three-quarters filled with Blues’ supporters, but the abuse truly reached its zenith when he set foot on the pitch. What was most shocking of all was that it was clearly the majority of the away supporters who were making their voices heard. I stood on the Holmesdale Road terrace absolutely gobsmacked – totally unable to comprehend this level of hatred. As far as I was concerned, that Chelsea team was desperately poor; we needed a hero to emerge, regardless of colour. Canners and his manager, John Neal, received death threats. Envelopes containing concealed razor blades were sent to both. Canners told his manager that he was quitting, and Neal had to use all his famous man-management skills to persuade the 20-year-old to ride out the storm. Paul Canoville: It was so full in your face and it was our own fans. I was playing for their club and they were giving me abuse. I was thinking if I just walked outside the gates, what would they do to me? It was frightening. What really hurt so much was the bananas thrown in front of me. I was thinking, ******* hell, do you really hate me that much? Do you really not want me to do well for the club? John Neal: He was abused because he was black. I didn’t like that. He was ready to walk out and I said to him ‘this is colour prejudice and we’re going to beat it. I’ll take the abuse if you’ll take it. We’ll face it together.’ Because he was Chelsea’s first black player he was the unfortunate one who had to face up to it, but it was disgraceful. I said to him ‘if you walk out they’ve beaten you, they’ve won. We’ve got to beat this.’ It was colour prejudice, and I’ve never liked that. He was a useful player, and once you had the Chelsea supporters behind you, you could jump over the moon. Canners made just two more appearances that season, and it wasn’t until almost twelve months after his debut that he broke through in earnest into Neal’s first eleven. 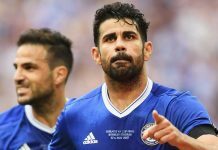 As Chelsea stumbled perilously close to a drop into Division Three, the young winger scored two vital goals in a crucial win over Carlisle in March – the Blues’ last home win of the campaign – and netted again with an athletic volley as Chelsea secured an unexpected point at promotion-chasing Fulham. Chelsea avoided relegation by just two points that season; Fulham missed promotion by one. Canners didn’t just help Chelsea stay up, he also helped keep the Cottagers down. A big pat on the back for that one, Paul! Canners started the following campaign the way he had ended the last: in the team and tearing up the left wing in destructive fashion. He found the net in a pre-season victory over top-flight QPR (stop sniggering, they were a top side once! ), and again when the Blues played Division One Leicester City in the Milk Cup. By the turn of the year, as Chelsea rose to the top of the table, Canners had found the net six times, including a hat-trick in a 6-1 thrashing of Swansea City. Perhaps, though, the most telling example of his increasing popularity amongst the supporters came at Brighton, where the travelling hordes reacted angrily to Canners being spat at and verbally abused by a white opponent. Canners’ response, a beautifully executed headbutt, was roundly applauded by a set of supporters who a year earlier would probably have given their backing to his assailant. However, when Canners’ form dipped later that season, Neal moved to sign the imperious Mickey Thomas from Stoke. Canners spent much of the remainder of the campaign on the substitute’s bench, although he did have the pleasure of scoring the final goal in the 5-0 thrashing of Leeds United that confirmed Chelsea’s promotion. Sadly though, a couple of weeks earlier he had experienced his very own Groundhog Day. Almost two years to the day since his debut at Crystal Palace, Canners was again a late replacement – this time for the injured Mickey Thomas – as the Blues again won 1-0 at Selhurst Park. On this occasion, Paul actually set the goal up for Pat Nevin with a flicked header, but not before he had again been on the receiving end of some abuse from his own fans as he took to the pitch. Pat Nevin: Paul Canoville came on as a sub and got booed on. I could hear a lot of insults going on and turned round and suddenly realised that they were coming from the Chelsea fans. It was a kind of jaw-dropping moment where I thought ‘you what?’ If you’ve got a position to use then sometimes it’s your duty to use it, so I just came out afterwards and said to the press ‘I’m not going to talk about the goal, I’m not talking about anything else, I’m just very, very unhappy about some of the Chelsea fans, in particular their reaction to one of our players, because it was racist.’ I said ‘You know I’m always friendly and chatty with you guys but I don’t want to talk about my goal because I think it’s small by comparison. The insults to Paul Canoville upset me and that’s all I want to say.’ It sounds awfully calculated now in a more media-savvy world, but I honestly didn’t know what I was doing. I thought they would do their normal report on the game with two lines at the bottom about what I’d said, but they didn’t, and I think it was the headline on all the reports. I wasn’t bothered about what I’d said, I was happy I said it, but I think there was a wee reaction to it because at the next game when we all ran out – Kerry, David and myself – Paul was cheered before all of us, and they sang his name. Despite Mickey Thomas’ continued excellence, Canners managed to figure in 35 games in all competitions throughout the following season, as Chelsea’s impressive return to the top-flight was supplemented by an exciting run to the semi-finals of the Milk Cup. And it was during that Milk Cup campaign that Canners sealed his place in the Chelsea Hall of Fame. When Chelsea went in at half-time 3-0 down in their quarter-final replay with Sheffield Wednesday at Hillsborough, there was no indication of the incredible events that would unfold during the second period. Canners, again carrying out bench-warming duties, replaced the injured Colin Lee at half-time, and within eleven seconds of the restart had scored a morale-boosting goal. Further strikes from Kerry Dixon and Mickey Thomas hauled the Blues level before, incredibly, the substitute scored his second of the night to give Chelsea the lead with just six minutes remaining. His goal celebration, sprinting down the touchline, arm aloft, face contorted in ecstasy, is one of the lasting images of that entire period in Chelsea’s history. He had done it: he was a hero now. That night, he ceased being a black Chelsea player. That night, he became a Chelsea player once and for all. A Chelsea hero. Nobobdy in the Leppings Lane end of the ground would ever boo him again. Despite a last minute equaliser for Wednesday, the Blues eventually won through, ensuring Canners’ heroics would never be forgotten. Colin Pates: I felt sorry for Canners because he was the first one, but he can be proud of himself because he changed everything from then on. I think the best thing for me was that he gradually won the fans over, and then we played at Sheffield Wednesday and he scored twice. After that the fans were fine. John Neal: I think he did it in the end, he won them over and proved a point. He was really upset, but it was a great challenge for us both, because I’d never had to face anything like that either as a player or a manager before. I was really obstinate though, I said there was no way that we would let them win. He eventually won the battle and, when he did, I shook his hand and said ‘Well done, that’s that battle won.’ He led the way. 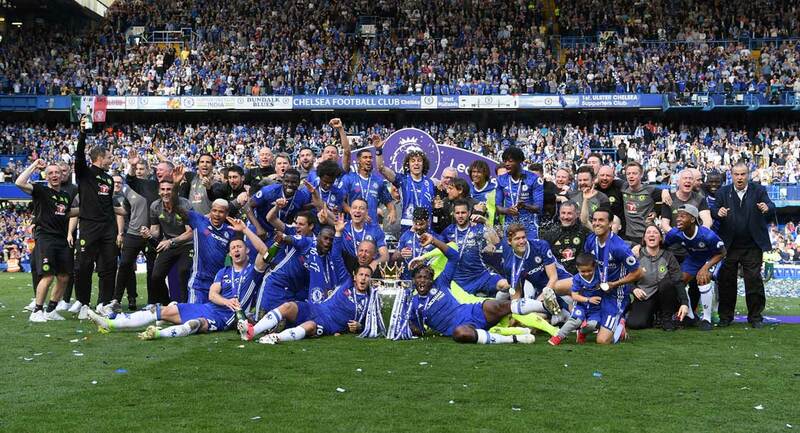 The black lads at Chelsea are all accepted now. That game represented the highlight of Canners’ Chelsea career. When John Hollins took over from John Neal later that year, he earmarked Crystal Palace plodder Jerry Murphy for the left-flank role. It still makes me shudder when I think about it! After a miserly five appearances the following season, Canners moved to Reading, but a serious knee injury sadly brought the curtain down on his career just a year later. Paul Canoville was a trailblazer, and can be very proud of his part in Chelsea’s history. Somebody had to be the first Chelsea black player, and he was that somebody. The likes of Marcel Desailly, Jimmy Floyd Hasselbaink and Didier Drogba look up to him. Canners took the abuse with remarkable dignity, and must surely have been proud when Ken Monkou was crowned Chelsea’s first black Player of the Year by the club’s supporters in 1990. He is held in high esteem by his former team-mates, and some of his antics are legendary. After making his breakthrough into the Chelsea first team, Canners gave himself the nickname ‘King’, and even signed autographs ‘Paul K. Canoville’. When asked what the K was for, he would reply in a deep tone: ‘Kiiiiiiiing’. His mate George also became well known amongst the squad, as he had a tendency to invite himself along to join in with training. He was so big that nobody ever had the guts to tell him he couldn’t take part. Happily, Canners is now back in the Chelsea fold. He has had to fight off two bouts of cancer since his playing days, but is now in good health, and working hard as a representative of Chelsea in the Let’s Kick Racism out of Football campaign. His autobiography, Black and Blue, is due to be published in April, exactly a quarter of a century on from the day he became Chelsea’s first ever black player.